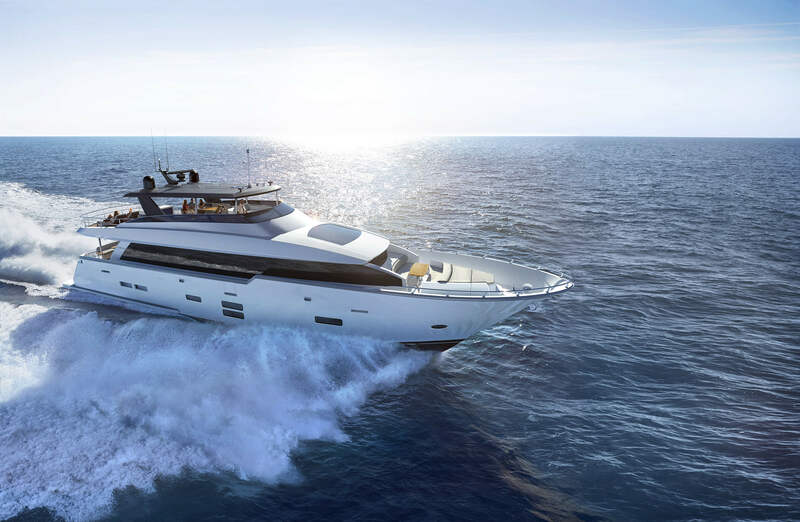 Breakthrough design ushers in a breathtaking experience aboard the all-new Hatteras M90 Panacera. 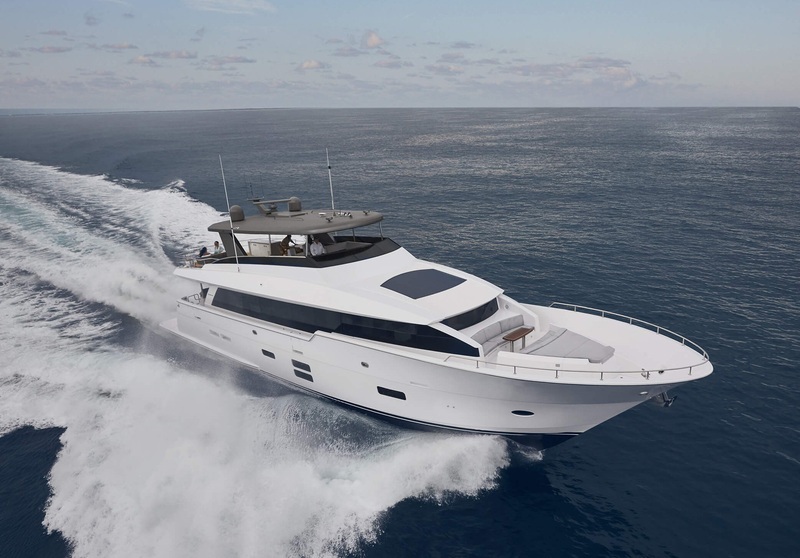 The latest model to enter the Hatteras fleet, this stunning open-concept features a crisp, light-filled interior that strikes a perfect balance of dramatic form and ingenious function. The 90 incorporates an inspiring range of global design influences to create new uses of living, dining and entertaining spaces. Distinctive features include signature skylights as well as a sweeping staircase to the expansive bridge. 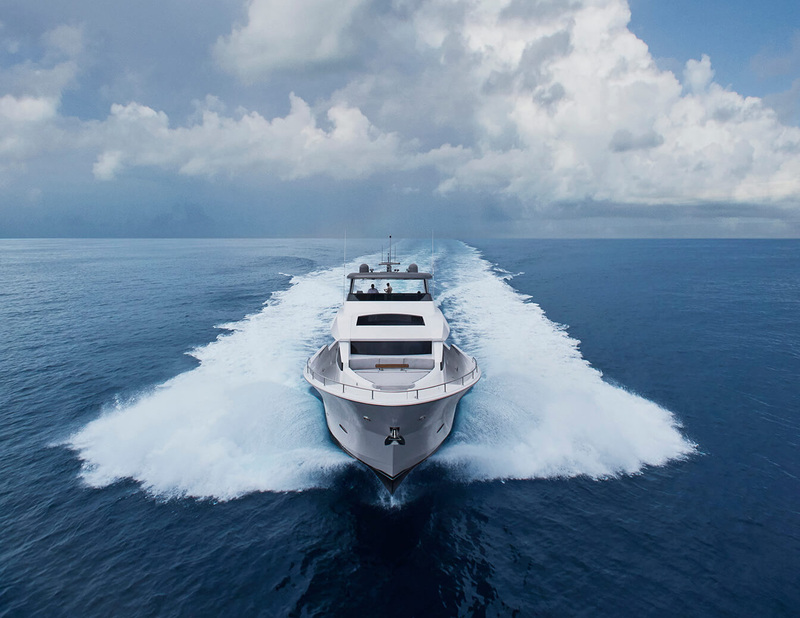 An amazing play is created between the interior and exterior spaces, which include a modular bar on the aft deck and ample lounging space on the side decks and bow. The impact of the massive 22’6″ beam is felt throughout, including in the four luxurious staterooms.